It’s been four eventful years since Justin Townes Earle was watched by just eight paying customers at the delightfully named Marr’s Bar in Worcester. A humble persona and commitment to playing high quality American roots music had him earmarked as someone to develop a successful independent career and not just be the son of a legend, with an iconic middle name. In the subsequent years, there has been four acclaimed albums, numerous visits to the UK, consecutive emerging artist recognitions at the Americana awards (strange but true), a brief return to rehab and a vastly increased fan base in this country. On this, his second trip to Britain in 2012, the Cosmic American promotion booked him for the Rescue Rooms in Nottingham and the Friday night slot in this lively venue attracted a couple of hundred punters of varying demographic composition. They in turn witnessed a very different Justin Townes Earle to the one who made tentative steps to crack the UK market a few years back. He has evolved musically from one, Nashville influenced, with a country sound to record and tour with a heavy blues dominated album. Striding onto the stage for this solo show in a Woody Guthrie-esque attire of peaked cap and austere suit, he looked a million miles from music city as he continues a quest to find the soul of American roots music. His vocal talents and guitar playing are perfectly at home at this blues pit stop on his journey and ninety minutes later the sizeable crowd gave him a positive reception of approval of which his still humble persona was appreciative. Justin Townes Earle will probably face a lifelong battle to conquer the demons of his flawed past but the positive vibes from creating fine records will go some way to helping him and his latest release NOTHING’S GONNA CHANGE THE WAY YOU FEEL ABOUT ME NOW is providing the focal point of this current bout of shows. He opened the performance with probably the standout song on that album ‘Memphis in the Rain’ and concluded the main segment of the evening with a stunning version of the Lightning Hopkins classic ‘Automobile Blues’ which also features on the record. Out of the other tracks from this release included in the set, ‘Won’t be the Last Time’, ‘Movin’ On’ and ‘Maria’ were probably the most memorable. Though stories surrounding many of the songs were a lot sparser than previous Earle gigs, the latter of this trio was preceded by a tale of the conflicts between songwriters and their loved ones. The relationship between Justin and his father, Steve, has often been difficult and on this particular evening there were several negative references. The introduction to the tribute song to his mother ‘Mama’s Eyes’ from the MIDNIGHT AT THE MOVIES album reminded everybody of his absent father during the early years. Also from that album, the track ‘They Killed John Henry’ was accompanied by a statement proclaiming his grandfather, a far greater man than either his father or he would ever be. You do get a sense of a complex and flawed character when seeing Justin live but many a musical genius has emerged from such minds and the depth and creativity from his song writing is heading in this direction. Some of the best songs performed on the evening came from the HARLEM RIVER BLUES album where Justin stopped off in New York on his journey from country to blues. 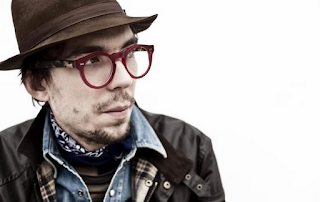 The title track, ‘One Night in Brooklyn’ and ‘Wanderin’’ are all welcome additions to any Justin Townes Earle set list. The live version of ‘Harlem River Blues’ was slowed down from the one on the album but its tremendous chorus hook line holds any performance of this song together. As indicated earlier we didn’t have the American music history lesson that has been such a fascinating feature of previous shows attended and this was highlighted by launching straight into the encore number, a version of Bo Carter’s ‘Your Biscuits Are Big Enough For Me’ which would surely have some story surrounding its selection. The musical development of Justin Townes Earle is very much work in progress and who knows where his talents will take him next. The good news is his UK fan base is growing and eagerly wait for the next stopping point on this journey through American roots music. This should convince him to continue to bring the fruition of his development to the UK on an ongoing basis.